Bharat Sanchar Nigam Limited (BSNL), in its consumer-centric move, had revised many of its broadband plans along with its prepaid recharge plans to attract more subscribers and to keep its existing subscriber base intact. In its previous revision back in February, BSNL had converted some of its broadband plans into plans with daily data limits. Among the plans which were revised were the Rs 2,499 broadband plan which had started offering 40GB daily data limit. Some of the other FTTH plans which had undergone revision were Rs 777, Rs 1,277, Rs 3,999, Rs 5,999, Rs 9,999 and Rs 16,999. 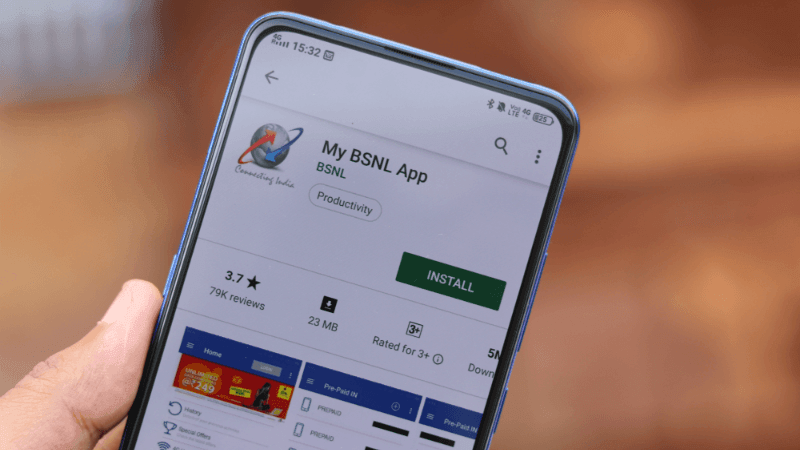 Now in its latest move, BSNL has yet again revised some of its plans from the packs as mentioned earlier to offer data without any daily limit. The subscribers will appreciate the move as now they get to access data without any speed throttle. In its February revision of plans, the Fibro Combo ULD 777 plan was converted into ‘18GB plan’ as it was providing 18GB of data per day with 50 Mbps speed. Now the same plan has been converted to ‘500GB plan’ as it offers 500GB data without any daily limit. The data speed will be 50 Mbps up to 500GB data; after that, the speed will be throttled down to 2 Mbps. Rs 1277 plan which was named ‘25GB plan’ was offering 25GB data per day, and it was also changed in the latest revision to provide 750GB data in the billing cycle with 100 Mbps speed and a post-FUP speed of 2 Mbps. The rest of the plans in the BSNL Fibre portfolio remain unchanged. The Rs 2499 plan which is also named as ‘40GB plan’ offers 40GB daily data to the subscribers at 100 Mbps and provides a post-FUP speed of 2 Mbps. Subsequently, the 50GB plan offers 50GB data per day with 100 Mbps speed and post-FUP speed of 4 Mbps. The monthly rental for this plan is Rs 3999. BSNL also has more fibre plans which include an 80GB plan for Rs 5999, 120GB plan for Rs 9999 and 170GB plan for Rs 16999. All these plans offer a speed of 100 Mbps and a post-FUP speed of 4 Mbps. It is worth noting that BSNL had previously converted some of its non-fibre broadband plans into daily data plans and the move wasn’t well received by the consumers. The probable reason is that a broadband customer is likely to have a massive data usage which might be sometimes hindered by a daily data limit and since the plans in the lower rungs offer much less daily data limit, it is easier to run into a brick wall when you exhaust your FUP daily data. As such, the new move is going to be a pleasing one for the subscribers of these BSNL fibre broadband plans as they will get to enjoy their entire data limit without any interruption. Use their Twitter handle or go to their office. Sorry Chakri but the news is very old. (Like a month old) I had sent an email to the news team regarding the same. Hello Nikhil. I got your email and replied back, but it was not delivered to you. Anyways, I accept it’s a old news, but it’s nowhere on the web, so covered it.